Do Resume Writing Services Provide An Actual Shortcut? We wanted to test professional resume services to see what real-life HR experts think: do professional resume preparation services actually make a difference? Find out below! With more and more job seekers using resume writing services to get on top of the interview list, there’s growing pressure on you to ensure your resume can compete with a professionally written one. So, what exactly are the benefits of these services, and what should you know before deciding which company to use? Most importantly, which company provides an affordable resume service that actually improves your chances of getting an interview? First of all, we invited a team of HR managers from a range of industries to participate. We then gave each person a pile of 30 resumes in total. Out of the 30 resumes: 20 were written by everyday job seekers, 10 were professionally written using professional resume preparation services. The team of HR experts were asked to pick out the 10 resumes they thought were the best. It seems clear that the professionally written resumes were significantly better than those made by regular job seekers. Which company provided the best resume? 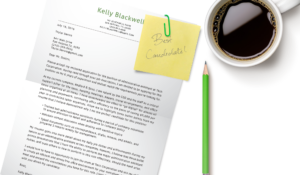 Why are professionally written resumes better? Professional resume services are a great option if you want to guarantee the effectiveness of your resume. Since it’s their job to write resumes for a living, they have a far deeper understanding of resume writing theory than most people. Most professional resume preparation services are also strongly committed to staying up to date with resume trends, enabling them to constantly provide good service and earn repeat customers, referrals, etc. What makes them better than me at writing a resume? A certified writer is someone with years of experience writing resumes, that understands the numerous writing and formatting techniques that can be implemented to provide you with a unique and powerful resume. The people behind resume writing services typically have a background in the employment industry, and through trial and error have identified exactly which writing practices are most effective in earning interviews. For example, which resume sections work best to engage the reader? How much work history should be included? What is worth mentioning, and what’s worth leaving off the resume? Who are professional resume writers? Professional resume writers typically have a background either in the employment industry and HR, or in industries like as journalism or teaching/education, where writing and strong language abilities are a must. Even the most affordable resume writing services will typically maintain a network of well-educated writers, who perhaps work full-time as a teacher and then writer resumes in the evening to boost their income. Writers are trained and tested by the company they work for to ensure they understand exactly how to strategically implement resume writing theory. This all goes to provide you with a powerful resume, developed using tried and tested techniques. We understand that these services aren’t exactly cheap, however the cost for anyone serious about finding a job is minimal, and if it significantly improves your chances of getting interviews then it should pay for itself with the first paycheck you earn. Ultimately, the main benefit is that you receive a quality resume written by someone with far more experience than yourself. The resume is written using tried and tested techniques, that are combined with your personal career history to produce a unique resume. There is also the added benefit that a professional writer takes the whole matter off your plate, saving you time and stress. Additionally, a professional writer can better assess your career information and make an objective decision about what to cut from your resume; something many people struggle to do, and consequently include too much irrelevant information, clouding their true value and key selling points. After paying an initial fee you can complete a simple survey to provide your career information and job goals, or instead just upload your old resume. You are then matched with a writer that best suits your career profile. Your writer will contact you as they begin drafting your new resume, and they take care of all the writing for you producing a brand new custom written resume. You work directly with your writer during a revision process, where edits can be made to the new resume, ensuring complete accuracy and satisfaction. A satisfaction guarantee is also provided, which is one of the key reasons we choose Resume Writer Direct as the top choice resume writing service; many other companies either charge for further revisions, whereas this company will continue to work with you until you are happy with the document. This ultimately guarantees you receive the best resume for your money. ResumeWriterDirect are a US leader in professional resume services, and provide premium standard services at an affordable and competitive price, as well as a 100% money back guarantee. As a starting point, you can check out our free teacher resume sample. You can also use our new-and-improved resume builder to build your own resume and save time. I hope these suggestions prove helpful. Best wishes with your job hunt.